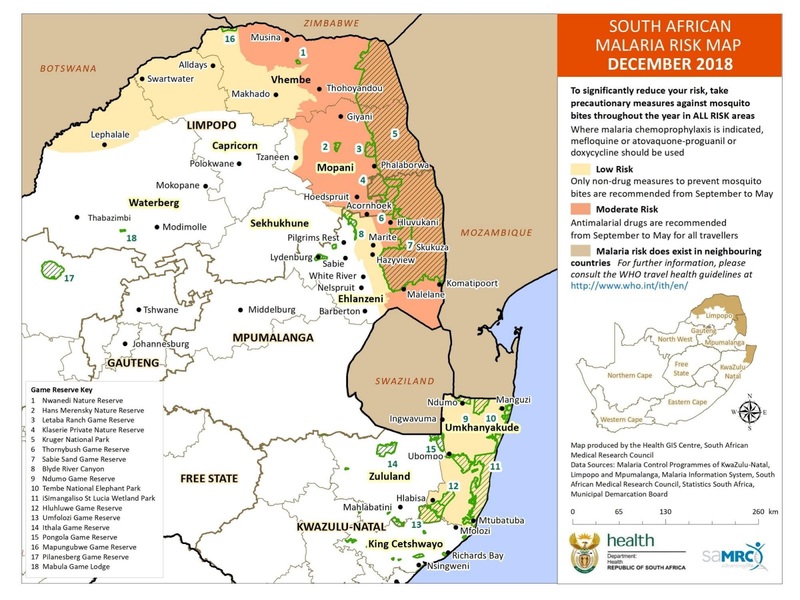 South Africa's National Institute of Communicable Diseases (NICD) has published a new and updated South African Malaria Risk Map (December 2018). 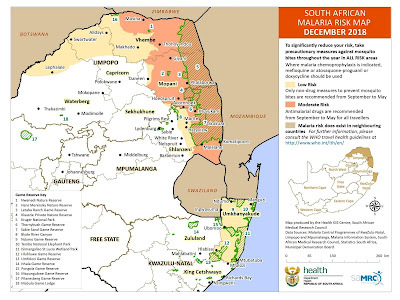 In South Africa, malaria transmission occurs in the north-eastern part of the country, mainly in the low altitude (below 1 000m above sea-level) areas of Limpopo, Mpumalanga and northern part of KwaZulu-Natal. Limited local transmission may occasionally occur in the North West Province and in the Northern Cape along the Molopo and Orange rivers. Kruger National Park and Mapungubwe National Park are the only two National Parks in South Africa that are situated in malaria risk areas. The risk of malaria in both of these parks is usually low, even in the summer months. Malaria is distinctly seasonal in South Africa, with the highest risk being during the wet summer months (September to May).